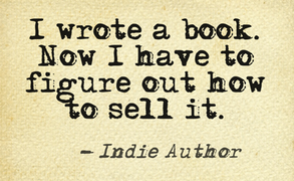 All Indie authors very quickly realise that promotion of their book is every bit as hard, if not harder, than writing the damn thing in the first place. Most would likely also acknowledge that marketing their work is more tedious and frustrating than the dreaded editing process. But although the temptation is to cross our fingers and hope for the best, whilst concentrating on writing our new book, promotion and marketing is unfortunately a necessary evil. The first comes from science fiction / fantasy author, Sarah Potter,and appears on both her excellent blog and on the Goodreads website. Coming from a more experienced writer, this means a lot! The second review appears on the U.S. Amazon.com website and has been written by V. Demaine. An absolute must for all pet owners and animal lovers. What a gem this is. It’s entertaining and funny, but also poignant. You can really tell that the author has a love of animals and truly cares about his work. I love stories based on real life situations and this book gives an insight into the complexities of what at first seems a straightforward job.I must say I admire the way this man has made a successful career change, not only from bank manager to pet sitter, but to author as well-it’s very well written. Read it yourself and it would make an ideal gift for any pet owner or animal lover. Posted by Cee Tee Jackson on February 28, 2016 in Damp Dogs & Rabbit Wee, News and tagged 5, Amazon, damp, dogs, five, goodreads, rabbit, review, star, wee. I’m not at all good about “bragging” on my behalf, but love doing it on behalf of other people! In fact, I’m finding self-promotion quite painful, but will keep pushing myself along and hoping I get braver. I absolutely agree. Good luck with it. Thanks also for following my blog. Cheers.